RESULTS FROM "S�LO BOXEO TECATE"
Next week the "Sólo Boxeo Tecate" broadcast will feature a doubleheader of Albuquerque stars, when home town favorite Holly Holm takes on Victoria Cisneros in the 10-round main event and local hero Fidel Maldonado Jr. faces San Antonio's Eddie Ramirez in the six-round co-feature. The TeleFutura broadcast begins at 11:30 pm ET/PT (10:30pm CT). 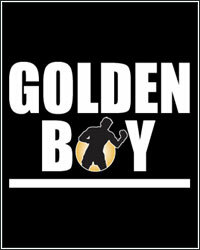 For more information, visit www.goldenboypromotions.com, www.fantasyspringsresort.com, follow us on Twitter at www.twitter.com/GoldenBoyBoxing, www.twitter.com/fantasysprings, www.twitter.com/TeamCaballeroor visit us on Facebook at www.facebook.com/GoldenBoyBoxing or www.facebook.com/fantasyspringsresort.